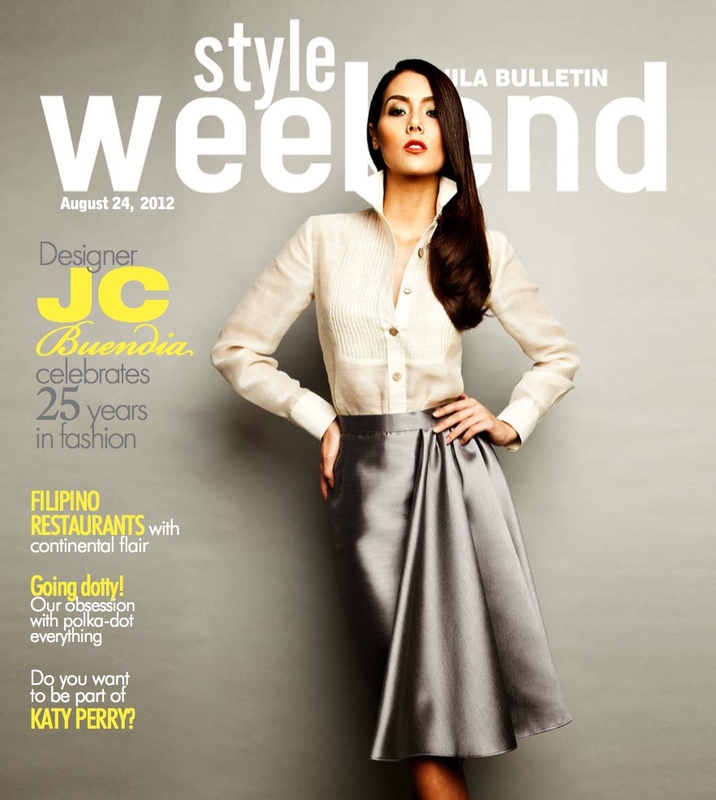 pls buy manila bulletin today (aug24) for your free copy of style weekend! on the cover: vanessa matsunaga wears an outfit from JC buendia's 25th anniversary fashion gala (it's on aug27!). photographed by cyrus panganiban, makeup by allen rosales, hair by xander flores. also inside: the mon-sun style of yvette religioso-ilagan, the polka-dot craze, katy perry's movie about herself, filipino cuisine with a continental twist, and more!